American poet and artist Vanessa Sinclair is on a roll this year with the book “Switching Mirrors”, the cassette “Cut to fit the mouth” (together with Carl Abrahamsson of White Stains and Cotton Ferox fame) and her debut album “Message 23” (a collaboration with artists like Sheer Zed, Val Denham, Joachim Nordwall, Xambuca, Carl Michael von Hausswolff, 156, Akoustik Timbre Frequency, Thomas Bey William Bailey, Carl Abrahamsson, Mary Nymphection, Damages, Katelan Foisy, Mikronesia, Liza Beth Paap, Audio Spirits, Witchbeam and Madame Deficit). 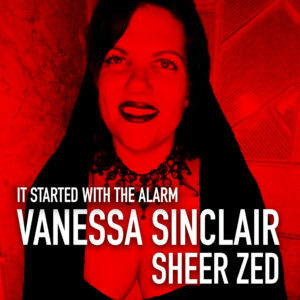 Her new album, “It started with the alarm”, is an in-depth collaboration with UK musician/producer Sheer Zed. It’s a forceful mix of ambient sounds and pounding techno, all setting the pace for Sinclair’s evocative cut-ups and poetry. 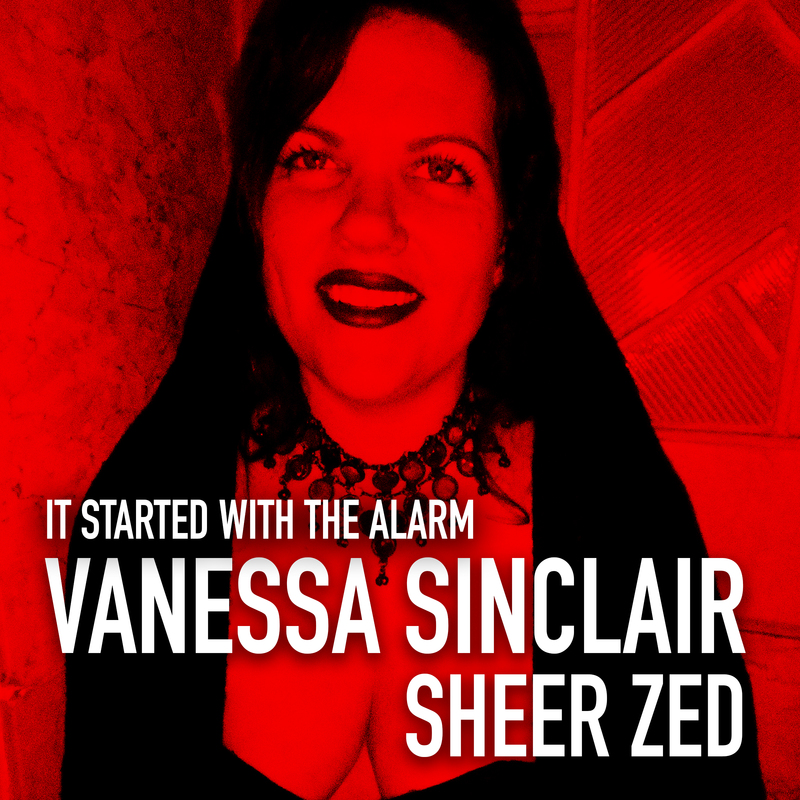 The rhythms and syncopations by Zed become meshed with Sinclair’s deep twists and turns. The result is a psychedelic journey to the end of night, and onwards.